The days of marketing a business solely via print advertisements are long gone. Today’s successful businesses utilize various social media sites to engage audiences, create brand awareness, and develop devoted followings. Contractor 20/20 can effectively market your business by expanding its online presence through social media. When the day comes that a customer is in need of your service he will no longer need to scramble through a clunky phonebook for your number because you’ll only be a click away. 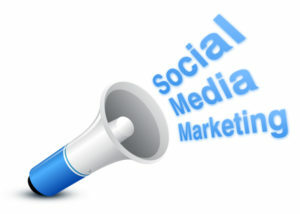 An effective social media campaign is tailored to a specific business’s needs and goals. We examine your current online social presence in-depth to determine where the most improvement and progress can be made. We conclude which social media platforms make the most sense for your business and will yield the best results. Taking into consideration the social media audit and your personal preferences, our professionals go about creating the profiles (or adjusting the ones you already have) to best suit the needs of your company. Your social media profiles will convey your company’s individual voice and message in a way that attracts new customers and helps create repeat customers. It is important that once profiles have been created that the company actively engage visitors and create a loyal following. If a social media profile remains unchanged day after day, it is likely that potential customers will lose interest in it. The experts at Contractor 20/20 are skilled at creating attention-worthy content. Below are some examples of social media channels and ways to engage visitors through them. Facebook – Facebook is unique in that it really allows for current and potential customers to get to know your business. Upload photos of products, staff members, and successfully completed projects. Run a contest or poll. Keep your followers up-to-date on specials and promotions. Google+ – Like Facebook, Google+ allows for you to create posts and share photos and updates. Industry experts anticipate that it will become one of the most important methods of internet marketing on Google, so a little social networking and marketing here can go a long way. Blogs – People are always researching for solutions to their problems and product recommendations. Your business likely is knowledgeable about a specific subject, so why not share a few tips and ideas? Adding you information to your website is also important for optimization. Twitter – Web-users can’t get enough of those 140-characters-or-less tweets. Take advantage of people’s desire for quick snippets of information and lay some of yours on them. Go ahead; tell them what a great project you’re working on and how you’re helping your customers today. Be proud of your work and let people know about it. Maybe you’ll even get re-tweeted and even more people will see it. Press Releases – Don’t let important news go unheard. If your company has something big going on, people can’t know unless you tell them. A well-crafted press release gets the information out and draws attention to your business. YouTube – Sometimes rather than read an article about a topic, people prefer to watch a quick video to gather their information. Does your business have something to share with the world via video? Maybe a “how to” video? It’s a great way for your company to make a visual impression and allow potential customers to get to know you. Inforgraphics – An infographic is a visual representation of a complex process. Often these graphics will depict how to do something. The ultimate goal is for the infographic to be shared. This not only spreads useful information to people but your brand message as well.